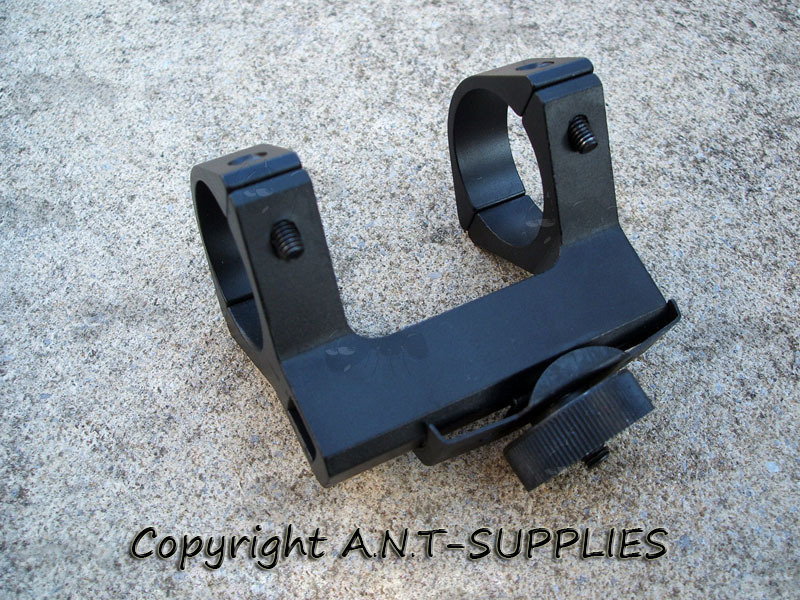 Also available ~ AR / M4 / M16 carry handle rails. 63mm long overall, 39mm distance between the rings. 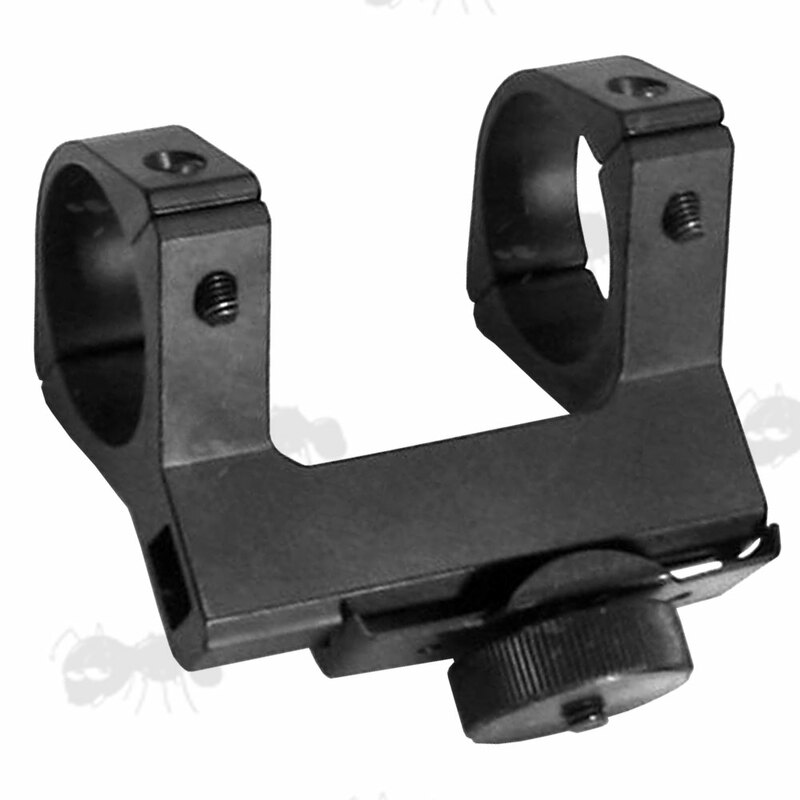 With a square see through channel base to still allow the use of your iron sights. Aluminium alloy construction with matt black anodised finish. Easy and fast to install into the sight channel of your carry handle for a very sturdy hold from the knurled fixing nut, that slots into the carry handles hole for continuous zero hold.